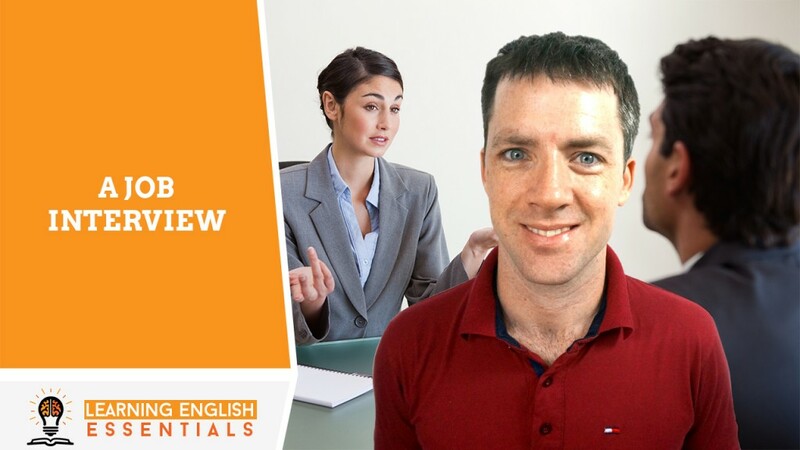 In this video of the English Conversation Topics series, I will take you through a common English conversation for a job interview. D: Hello Sara, thanks for coming today. D: Now, why don’t you start by telling me about your employment background. S: Sure. I have been a Marketing professional for the last ten years. I studied Marketing at University and have worked in various marketing roles. D: What are some of the industries you’ve worked in? S: I have worked in telecommunications, financial services, travel and recruiting. D: What would you say your strengths are? S: My strengths are in creating systems and processes to get the job done quickly and manage contractors and staff efficiently. This helps save time and money for my employers. D: What would you say are your weaknesses? S: My weakness is using statistical software such as SASS. I find it difficult to navigate. D: Why do you think you would be a good addition to this team? S: I am a very hard worker, and I am a team player. I believe in producing high-quality work and focusing on getting the job done. I have the technical skills and the experience required to work well with your team and deliver results. D: Why did you leave your last job? S: I decided to leave my last job because I wanted the opportunity to grow and excel with a high performing team, and I felt that I have gone as far as I could with my previous employer. D: Where do you want to be in 3 years? S: I want to be working for your company in a leadership role. D: Do you have any questions about the job? S: Yes, I do. Why has this job become available? D: This job role opened due to a demand in the business to respond to the changing nature of online marketing. We need a specialist to help us better leverage our digital assets. S: How is the team structured? D: You would be working with two direct reports to help grow the Digital Marketing team. You report directly into the Head of Marketing. S: Will I be required to hire the two staff members? Or are they existing staff? D: The two staff members are existing staff. In the last company restructure they were allocated to this new unit. S: What would you say are some challenges this role would encompass? D: I would have to say that there are many levels of management, and you will need to be able to navigate through all of the stakeholders to ensure that you can get the job done with the right approvals. S: I see. Do you work with external agencies? D: Yes, we do. We work with XYZ Digital and ABC Media buyers. S: What in-house teams are available? D: There is an internal graphic designer that you can access if you need. S: What is the vision for the company for the next 12 months? D: The company is in an aggressive growth phase. The focus is to increase market share by 20%. S: That’s very interesting. Those are all of the questions that I have. D: Thanks, Sara. We are interviewing more candidates this week and will contact you by Friday to let you know the outcome of this interview. S: Thank you for the opportunity to interview for the position. D: You’re welcome, Sara. See you again.